High fiber food as defined by the USDA 2012. Do you want to eat healthier? 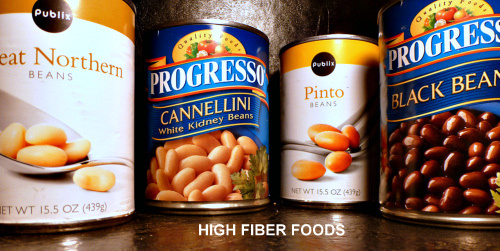 Get started with high fiber food! It would be a good exercise to make a list of foods you eat for breakfast, lunch and dinner on a specific day. Make sure you include snacks. This will give you some idea as to your fiber and calorie intake for that day. See if your total comes close to the target amount for the day and the week, as recommended by USDA of 28 grams of fiber for an average diet of2000 calories a day. If you take time to study this list, you will have a good working knowledge of fiber rich foods. With this in mind you can plan meals and snacks that will insure a healthy diet and lifestyle. The following is a list of high fiber foods as defined by the United States Department of Agriculture-USDA National Nutrient Database for Standard Reference, 2012. Total fiber is measured in grams. One good source for a high fiber food is cereal in the morning. "Organic High Fiber Cereal" is made by Bob's Red Mill Natural Foods. It contains stone ground oatmeal, nutrient rich flaxseed, wheat germ, high fiber oat bran, and wheat bran. The wealth of vitamins, minerals, fiber and essential omega-3 makes for a good start for the day. The fiber available in 1/3 cup is 10 grams. I recently found a fantastic imported German Sunflower Seed bread with rye kernels. They also make a whole rye kernel bread. You may want to add some of this bread to your list of high fiber foods. 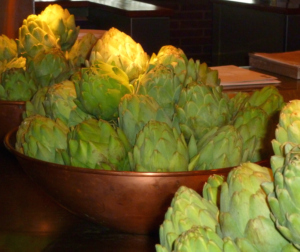 It is dense and chewy with one slice containing as much as 6 or 7 grams of fiber! That's certainly a "WOW!" There are no preservatives and it is low in fat. This bread makes a great snack with a topping of hummus. Hummus is made from beans and seeds and is also a good source of fiber. You can find different types of hummus at most grocery stores in the refrigerated section, or you can find our recipe for hummus under healthy lunch recipes. 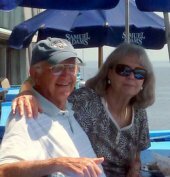 Barbara keeps a few varieties of Dr. McDougall's Right Foods soup in the pantry at all times. They are dry soups and come in a serving cup. You add water to the dry soup and place in the microwave or just add boiling water and wait 5 or 6 minutes until ready. The soups are great tasting, very healthy, and so easy to take to the office...or use when you don't want to cook. The total fiber content is unbelievable in one of my favorites which is Black Bean and Lime.. This one has to be at the top of the high fiber foods chart - weighing 28 GRAMS! The McDougall soups can be found in most supermarkets. 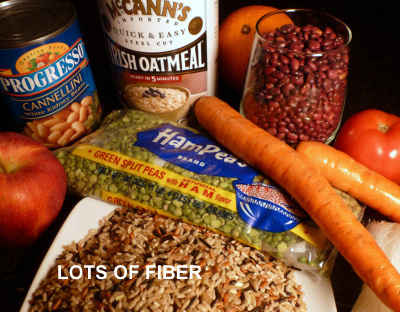 Most of us do not get enough fiber in our diet. A diet consisting of mostly animal products and processed foods can cause all sorts of problems with your health. A diet consisting of mainly plant foods such as vegetables, legumes, grains and fruits will most likely have an abundance of fiber to keep you healthy. If you are in search of good health, it will benefit you to become aware of the foods that will keep your system functioning at the highest level. Sources of Dietary Fiber -With enough fiber in your diet, the food will pass quickly and easily through the digestive system assisting the elimination of toxins.